Pyoca Camp, Conference & Retreat Center - More than a place! Looking for a fun and challenging job this summer? Look no further than Pyoca! 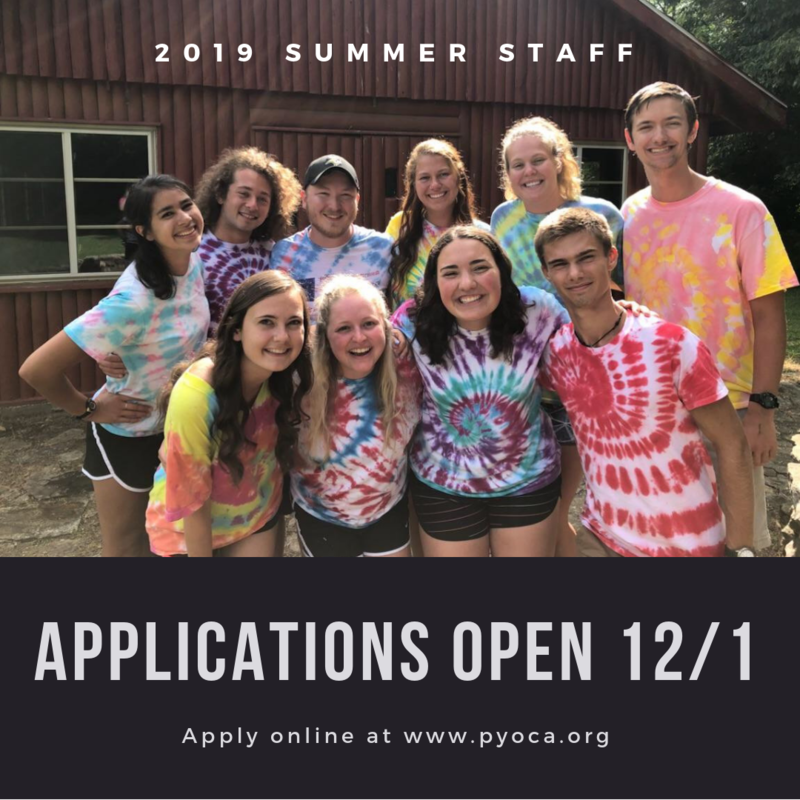 We have already begun assembling a fantastic 2019 summer staff and want YOU to be a part of the Pyoca family. Become a counselor and earn college credit! Did you know? Many Pyoca staff members use their experience on staff to develop their roles into educational internships. We work with a wide variety of school requirements and love exploring ways we can help staff learn outside of the box. Apply today and join us for a summer you’ll never forget. Join us this May as we grow into spring with our women’s retreat Flow & Grow: Creative Respite. There is no expectation of perfection; we merely seek Sabbath and connection. Our philosophy is that art & yoga allow us to connect to God and one another through the movement of the Holy Spirit. Over the course of the weekend each woman will discover her innate sense of creativity and discern the movement of the Spirit in her life. 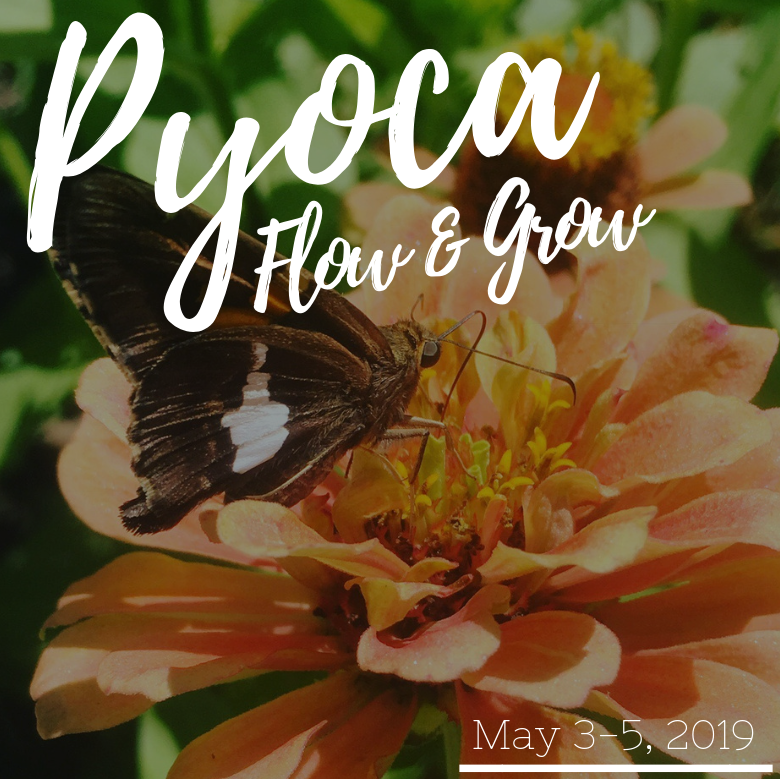 Join us for a weekend of connecting with the divine through yoga, the arts, and nature. Join us Thursday, May 30th from 9:30 - 12:00 as we partner with the Indiana Youth Institute of Jackson & Jennings Cos. for their upcoming Youth Worker Cafe Substance Abuse: General Trends & Local Impact. We will be screening the film Generation Found, followed by a panel discussion from local community leaders. Breakfast included. We are delighted to welcome Rev. 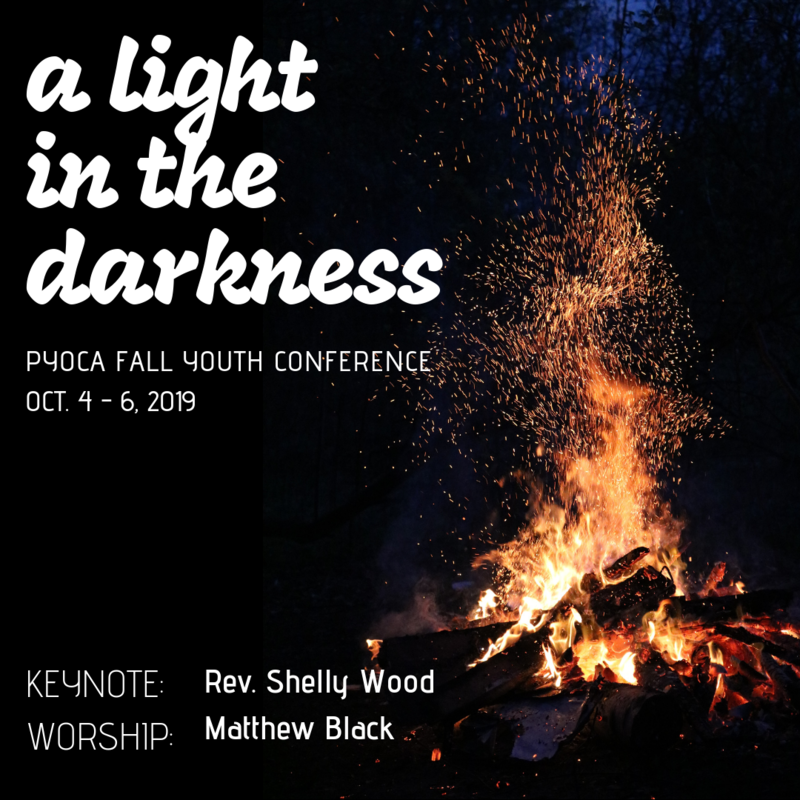 Shelly Wood and Matthew Black as this year's keynote speaker and worship leader for the Fall Youth Conference. This year's theme is A Light in the Darkness. We know that youth are not immune to darkness and times of struggle. They deserve to have a space that is open for them to talk about their fears, anxieties, and what challenges them. The conference is open to any youth group and their youth leaders. Youth in grades 6-12 are welcome. Small groups will be split by age group, 6th-8th grade and 9th-12th. Individual youth without a group attending are encouraged to group up with another church to register.